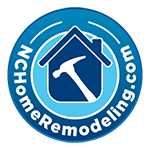 Most homeowners have heard tips on making sure their plumbing and pipes don’t freeze in the winter. But frozen pipes aren’t the only plumbing problem to watch out for when it gets cold. By taking a few minutes to check out these other problem areas, you can make sure small issues don’t become emergencies. It’s never convenient for your water heater to malfunction. But in winter, the lack of hot water can be a real headache. Before the cold weather hits, get your hot water heater checked out to make sure it’s in full working condition. Make sure the pilot light is on if it is a gas unit. In addition to freezing, pipes can break because of pressure built up inside. Frozen garden hoses can create a force within pipes that can cause a leak or a break that affects pipes inside the house. To prepare for winter, disconnect and drain garden hoses, turn off outdoor faucets, taps and appliances. 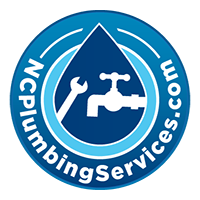 If you have winter plumbing problems or, better yet, want to know how to avoid winter plumbing problems in your home, call NC Plumbing Services at 919-868-3585. Our experienced plumbers can assess and advise you on the best, most energy efficient and cost conscious way to protect your home from cold weather plumbing emergencies. Food and grease can stop up a drain anytime, but in winter, when many of us cocoon, we eat more at home. With the winter holidays, we prepare more food and pour more scraps down the drain, causing a blockage, which cold weather can exacerbate. Grease is a common culprit for clogged drains because it starts as a liquid but congeals as it cools in the pipes. Coffee grounds and eggshells become heavier when they mix with water, while pastas, potatoes, rice and beans expand when mixed with liquid. In all cases, these changes make it harder for food to travel through the pipes efficiently. Instead of putting food down the drain, throw it into the trash or use coffee grounds, eggshell, cooked rice and old pasta for composting. To get rid of grease, collect it in a milk jug or let it solidify in a can before firmly putting a lid on the receptacle and throwing it away. Or, recycle grease through programs available in Cary and Raleigh. No Replies to "Beyond Frozen Pipes: Avoiding Winter Weather Plumbing Problems"
Help! My Drains Keep Getting Clogged! Why is the water pressure in my home important?